Amazing work Judy. Thank you for using our Textured stamps on your work. I love the flower bouquet!!! Thank you for joining us over at the Rubber Dance Challenge. HUGS Susanne. This is awesome, Judy! 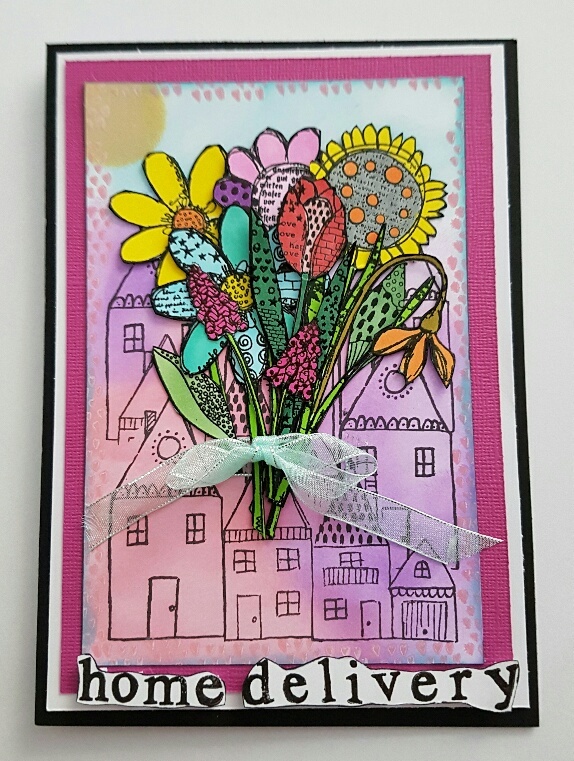 Home delivery was a very fun idea for the textured flowers :-) Thank you for joining the Rubber Dance Challenge!